Upon putting on ‘Requiem’ you can clearly identify influences from bands such as Metallica, Avenged Sevenfold, Iron Maiden, and Judas Priest. 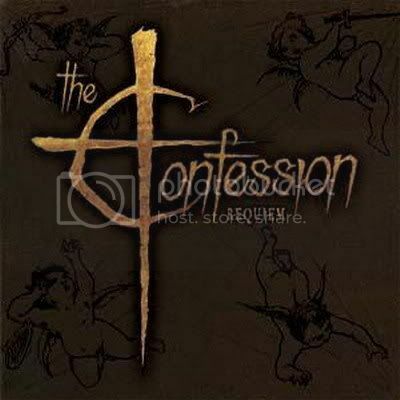 With their songs combining harmonising guitar work, fast drum beats, and vocals ranging from high pitched harmony to low pitched grunts, The Confession sure show their talent in this offering right here. Straight away with the album opener ‘Burn The Virgin’ we hear the harmony in the band’s guitar work. True musicianship with the two guitars, joining together as good as man and wife in marriage. This is also shown with ‘Dance With The Devil’ with the vocal abilities being a strong point. Unlike most of the other tracks on the album, ‘Jealousy’ seems to show the heavier side of The Confession – yes, these guys know how to play the angry card. But, as with the rest of the album, this heavy offering is still dense with the harmonising vocals, which could be both a good thing and a bad thing, depending on your preference. Though this band does have talent, and they do know how to write good, and in places catchy, songs, this album doesn’t seem to have a great deal of excitement. Yes, it does have fast and slow pieces, and it does have various kinds of vocals, so really it should be a delight each time you hear it. But sadly, it seems to be hard to listen to the whole way through without getting bored after hearing four or five tracks. ‘Requiem’ is one of those purchases you should make if you’re fans of bands in a similar genre and light; if you’re not then just getting a hold of a track or two is your best option.